It's a bird! It's a plane! No, it's Amazon's Gold Box Blu-ray deal of the day! 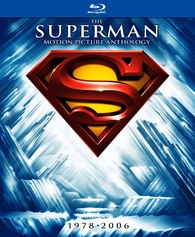 The online retailer is now selling 'Superman: The Motion Picture Anthology' on Blu-ray for only $55.99 (57% off suggested retail price). Click here to take advantage of this deal that is available today only!